All exhibitors should read the following logistical information carefully before the event to ensure a thorough preparation for the event. Venue address (for exhibitor entry) - Brighton Centre, Russell Road, Brighton BN1 2DX. NOTE: Caterers are required to set up on Friday. The entry point for exhibitors is the Loading Bay on Russell Road (at the back of the Brighton Centre, postcode BN1 2DX). Exhibitors should only use the Loading Bay for moving stock into and out of the venue - the public entrance on King's Road is for members of the public only. PLEASE NOTE that children under the age of 16 are NOT allowed into the venue during setup or breakdown, but they are welcome at the venue during opening hours. Each stallholder should follow the steps outlined below to download their stallholder passes. The entry passes are for stallholders' staff to be identified on entry during setup / opening hours by VegfestUK staff on the gate. Step 2 - Select the number of passes needed and click Add To Basket. View Basket and Proceed to Checkout. Step 3 - Under Billing Details, In the First Name field enter your business name. Then add your Email Address. You don’t need to fill in anything else. Step 4 - Enter the names of you and your team receiving passes under Attendee Info. Step 5 - Under Your Order, accept the terms and click Place Order. That’s it! Your passes will be emailed to you as individual passes for you and your team. Each exhibitor must reserve in advance, their time slots for BOTH unloading and loading, using the online form here (the form also allows stallholders to register for their entry passes). Exhibitors who wish to unload or load a vehicle on site, either for unloading and loading, or delivery / removal of exhibits, will need to book a time slot for loading in using the online form here. Exhibition materials for exhibitors will only be accepted at the venue between 10am - 7pm on Friday, and between 7am - 10am on Saturday. The organisers can offer limited assistance with accepting deliveries before setup begins, but please note that the organisers cannot be held responsible for any damage or theft incurred on your pallets while accepting them on exhibitors’ behalf. Also please remember to instruct your transport company to arrive at the venue equipped with suitable unloading and loading equipment (e.g. forklifts, trolley-jacks, etc.). The organisers cannot provide unloading/loading equipment and cannot be responsible for any failed deliveries and pickups due to a lack of suitable unloading/loading equipment. Please note that all exhibits must be removed from the venue by Sunday 10pm at the latest. You are reminded that you are responsible for the removal of any pallets used to deliver goods to your stand. A charge will be made to you for the disposal of any pallets which are not removed. Please pay particular attention to public liability and employers liability insurance and make sure your insurances are up to date and cover the Brighton dates (March 24th & 25th 2018). Please note that we CANNOT accept out-of-date insurances. Also all food traders must return their food safety questionnaire as well as any requisite food hygiene certificates to jude.vegfest@gmail.com. Please also pay attention to the expiry dates of all food hygiene certificates and certificates of registration with your local councils, and renew these certificates if necessary. It is also good practice to have your insurance and food safety documents laminated and bring them to the event as part of your stall. Each stallholder can request up to 2 complementary tickets for the Sunday event - these tickets can be requested by email at alan.vegfest@gmail.com, and they can be used either as prize for ticket competitions (which must end by the end of February 2018), or used privately. For requests of complementary tickets to be used as prize for ticket competitions online, please email full name(s) and email address(es) of the winner(s) to alan.vegfest@gmail.com after the competitions are over. All complementary tickets will be emailed out 1 week prior to the event. Please note: the organisers do not send out complementary tickets automatically to stallholders - these tickets have to be requested in advance. Exhibitors are advised to bring their own trolleys/pallet trucks to ensure swift movement of stock and stand equipment during setup and breakdown. Please ensure that no pallet trucks/trolleys of any kind are used during public opening hours. 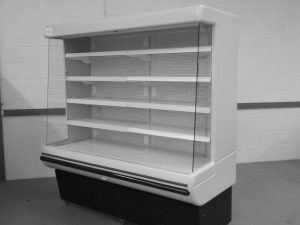 Please note that if you use your own supplier, you must make sure that your fridges are removed from the premises before 9am on Monday March 26th 2018. Please note also that the hire costs for fridges are NOT subsidised by the organisers. All stalls are equipped with trestle tables. Tablecloths are NOT provided - please bring your own. Chairs are NOT provided - please bring your own if these are necessary. The event is not carpeted in the Main Auditorium on 1/F, but carpeted in other areas. If your stall is located in the carpeted areas and you plan to sell food / alcohol at your stall, please ensure that you cover the venue’s carpet within the boundaries of your stall, as there will be dilapidation charges incurred for any contamination of the venue's carpets. Exhibitors are advised to bring sufficient change for sales to visitors who are paying in cash. There are 2 cash points at the venue, one on the G/F and another on the 1/F, both in the East Wing - see floor plan here for exact locations. Exhibitors also have the option to either bring card readers or have transaction apps on their mobiles / tablets to cater for visitors paying by credit / debit card. Please note however that the venue's free public wifi is not secure for transactions. It is recommended that exhibitors requiring the use of card readers hire secure internet from the venue - further details on hiring internet are in the "Internet" section. Pop-up banners are recommended for display as they are visible and above head height, but please make sure that any pop-up banners are safely and securely erected. Please note that all stalls at this event are space-only with no shell scheme structures. In order to help us ensure that we comply with the venue regulations, all gangways at the show must be kept clear at all times, including during setup, the open period and breakdown. Exhibits, furniture and other items belonging to your stand must not encroach beyond the boundary of your stand space. This is to ensure that escape routes are unobstructed in case of emergency evacuation. Storage space for pallets (without chilling / freezing facilities) is available on the 3/F of the venue, accessible via the goods lift in the Loading Bay. Storage space is limited - please contact the office on 0117 9071881 or at chris.vegfestuk@gmail.com to check availability first before booking this facility. There are a number of bins for both recyclable and non-recyclable waste provided by the venue for disposal of solid waste., and also a skip at the back entrance. Please do not leave rubbish on your stall at the end of the show - your assistance in removing rubbish created from your stall (if any) is appreciated. Please note that there are no facilities for cooking oil disposal on site, so please make sure to take away any leftover cooking oils from the venue after the event. The consumption of alcohol is not permitted during setup and breakdown. Unless agreed with the organisers in advance, the sale of alcohol is not permitted in any circumstances during the show. All products displayed at every stall must be 100% vegan. No promotional materials which promote the use of animal products are allowed. Please do not wear any non-vegan apparels at the event. The organisers reserve the rights to ask exhibitors to remove from their stall or their staff, products which contain non-vegan ingredients such as meat, dairy, fish, eggs, honey, beeswax, wool, silk, fur, leather, etc. Please note that bee pollen is not considered a vegan product and therefore not suitable for VegfestUK events. If you are not 100% sure which products are qualified vegan, please contact the office beforehand. Electricity must be booked with the organisers beforehand should you wish to operate any electrical equipment at the event. Our electricity prices can be viewed here. Electricity can be booked all the way through to the event, however, please note that electrical orders made after Friday March 16th 2018 (i.e. within 1 week of the event including the event dates) will include an extra admin charge of 20%. Power will be available from Friday morning right through to Sunday. The correct size of power socket must be ordered for the appliances being used. Failure to do this will lead to power disruption to your stand and surrounding stands. In particular, exhibitors must check the starting and cruising wattages of their electrical requirements and book sufficient power before the show to ensure that they don’t overload the power sockets during the show. For example, a piece of equipment’s cruising wattage could be 2.8kW, which is suitable for a 3kW power supply, but it could have a starting wattage of 3.8kW, in which case it will still cause the power to short due to overuse despite having the cruising wattage of below 3kW. Each exhibitor must submit a picture of the layout of all their equipment before the event. Each exhibitor must now either submit proof that all their electrical equipment has been PAT tested within 12 months of the show. Please note: this is a legal requirement and this will be strictly enforced before trading commences. Daisy chaining is NOT allowed. DO NOT coil up your cables. Unroll them to ensure they don’t heat up or have them cut to a suitable length. DO NOT plug everything into one outlet and DO NOT plug one lead into another. This causes overheating and may blow the fuse. Order enough sockets for your needs. Remember: 1 x 500watt socket = 1 x 4 way extension lead. Under no circumstances are electrical or other cables allowed to run across the floor of an exhibition stand without suitable covering. If faulty equipment from an exhibitor is deemed to be the cause of power disruption during the event, the on-site electricians reserve the right, for fire safety reasons and to minimise disruption to other exhibitors, to terminate power to the stand. There is a kitchen with washing facilities on 3/F, with access via either the goods lift within the loading bay, or the passenger lifts in the corridors on the Russell Road side of the venue on 1/F. Please make sure NOT to block the sinks in the Kitchen of the venue with any food waste - food waste must be cleared from the venue separately yourself. Please note that there are NO facilities for cooking oil disposal on site, so please make sure to take away any leftover cooking oils from the venue after the event. No cooking oils should be poured into the sinks in the kitchen. As organisers of a food event, we take food hygiene very seriously. We have compiled a guide for caterers to prepare thoroughly in all aspects for this event - this guide includes items such as having suitable handwash facilities, sneeze guards, electrical safety and more. All staff catering at VegfestUK events must use sneeze screens or plastic guards to prevent any food or heating equipment from being open to the public. All food operators will be inspected thoroughly by hygiene inspectors, so please ensure that your staff and yourselves are fully trained on safe food handling measures, and adhere to top quality hygiene standards at all times. You must ensure you have your documented food safety system, insurance and all training records for staff with you and available for inspection. All deep-frying equipment must be placed at the back, rather than the front, of catering stands. Any other cooking (eg griddles) must be done at least 1 metre away from the public or behind suitable safety guards (consider child and adult safety heights). Fat fryers must be equipped with thermostatic cut-out controls and flame failure devices to prevent gas escape and build up. Any chopping activity (like chopping up coconuts) must take place to the rear of your stall, not to the front / aisle. Every caterer must have a handwashing machine with running water at their stands. That includes liquid soap and disposable towels. Please note: boilers and bowls of water are not sufficient . Running (and draining) water of suitable temperature must be available in your handwash facility. See here and here for example. Every caterer that is cooking must have a working, in-date and appropriate fire extinguisher and fire blankets to hand. All staff at catering stands must wear separate gloves to handle food and money. All caterers must avoid the use of over-length leads or trailing electrical cables. Electric cables should not be “daisy–chained” (multiple extension leads connected to each other). Gas or naked flames are strictly prohibited. At Bristol, gas and naked flames are allowed for outdoor caterers. For more information on this point please contact a member of the VegfestUK team. All food samples must have the 14 major allergens clearly displayed. Please note that failure to comply could result in any catering operations involved being shut down on the day. We have a number of requests each event for gluten-free food, please advertise your gluten-free food clearly on your stall if you have gluten-free options. Please bring rubbish sacks, hand wash, gloves, washing up liquid, etc. Please make sure NOT to block the sinks at the Water Point of the venue with any food waste - food waste must be cleared from the venue separately yourself. Please make sure to have suitable facilities for temperature control for your food. Staff eating on your stand is not permitted. Off-duty staff should not be eating at their food stands. Food should not be stored on or near the exhibition floor. Caterers are advised to have less food on display and more food covered to avoid food attracting dust during the show. Hot drinks must be served in sturdy containers fitted with lids to avoid risk of spillage. Catering stall featuring barbeque grills must isolate grills from public access and specifically risk assess and have methods of extinguishing the BBQ. Staff working at catering stands must have their hair tied back to avoid cross contamination. Staff working at catering stands must submit beforehand their food safety training records at least 2 months before the date of the event. All caterers must keep their work surfaces clean and tidy throughout the event opening hours. All caterers must keep their items (including pop-up banners) within the footprint of their stands. If your stall is located in an area that is carpeted and you plan to sell food / alcohol at your stall, please ensure that you cover the venue’s carpet within the boundaries of your stall. All caterers should bring steps with them if they want to fix items over head-height and should not stand on tables, chairs etc. 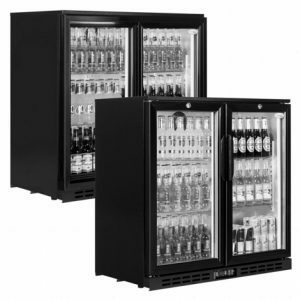 All caterers must restrain from storing items behind their stands or in unused spaces. Ladders must not be used during show opening hours when members of the public are in the exhibition halls. There are no facilities for cooking oil disposal on site, so please make sure to take away any leftover cooking oils from the venue after the event. No cooking oils should be poured into the sinks in the kitchen. Caterers must ensure their staff are aware of and trained in allergen requirements and appropriate signage is displayed on your stand for the public. All caterers must check the starting and cruising wattages of their electrical requirements and book sufficient power before the show to ensure that they don’t overload the power sockets during the show. For example, a piece of equipment’s cruising wattage could be 2.8kW, which is suitable for a 3kW power supply, but it could have a starting wattage of 3.8kW, in which case it will still cause the power to short due to overuse despite having the cruising wattage of below 3kW. Each caterer must submit a picture of the layout of all their equipment and utensils before the event. Each caterer must now either submit proof that all their electrical equipment has been PAT tested within 12 months of the show, or pay for their equipment to be PAT tested on site. Please note: this is a legal requirement and this will be strictly enforced before trading commences. All caterers must arrive between 2-7pm on the Friday setup day to allow time for inspection of electrical equipment. All electrical equipment must be inspected between 8-10am on Saturday, with electrical equipment switched on by 9am Saturday, and all catering staff must be present during this time slot to ensure swift inspections before the show opens. All caterers should have a contingency plan to be able to continue serving to the public in case of any power cuts. You are welcome to contact the organisers in advance if you are unsure about any of the above. The Stallholders Desk is located on the G/F, near the public entrance. The public Information Desk and the Volunteers Desk are located right next to the Stallholders Desk. Security is provided for the show from 8am on Friday until 8pm on Sunday. Please do not arrange for goods to be delivered to the hall before this time. Please assist us by wearing your wristbands within the venue at all times after you have picked these up on arrival. Do not leave your stand unattended at any time during setup, the open period or breakdown. Do not leave the hall until all visitors have gone each evening. Ensure you have enough staff, so that the stand is not vulnerable to thieves and do not ask a neighbouring exhibitor to watch over your stand while you go for a break. They may become busy and not be able to keep an eye on your stand. Remove all portable or valuable items from the stand on the evening the show closes. Do not leave them until the following day for collection. Arrive in time for the show. Ensure your stand is staffed at least 15 minutes before show open time of 11am on Saturday and 10am on Sunday, but remember that the hall is open from 7am on Saturday and from 8am on Sunday. If you are a victim of theft or damage, please report this to the Information Desk or to your nearest security personnel or steward. The organisers, however, cannot be held responsible for the loss or damage to exhibitors’ property. Any lost kids should be reported to the Information Desk. VegfestUK Brighton is a friendly event, and we do not tolerate bad language or aggressive behaviour from the public (occasional) or exhibitors (very rare but has happened in the past). If you encounter anyone displaying unruly/abusive behaviour, please ask your colleagues or neighbouring exhibitor to alert a member of the event organising team (security, stewards), and we will assist if required. Please note that exhibitors are advised to stay calm at all times when dealing with the public, with moderate language in the very unlikely event of a hostile encounter. In the case of this being from an exhibitor, no refunds may be issued.